When people choose to switch to vaping, it’s quite normal to feel different and overwhelmed. It’s normal – but you can learn the technology behind it. In time, you’ll get to learn how it’s done and you won’t need to look up the internet for every little sound that it suddenly makes. 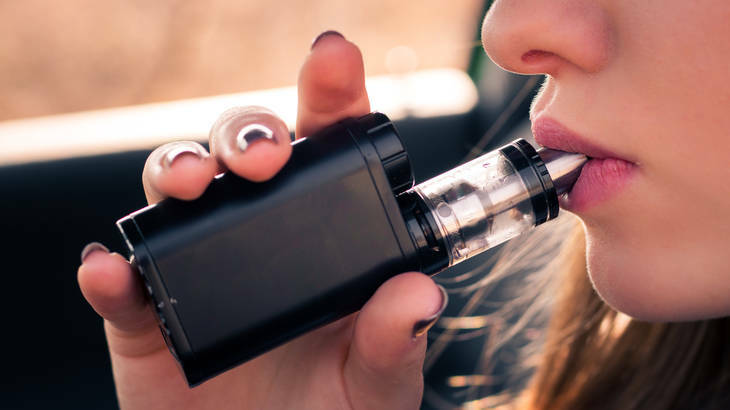 We’ve written this article to give you a push from behind and a few tips that can help you get on your feet, by telling you how to vape safely. We know what you think – it goes completely nowhere, but bare with us for a minute. It’s advisable to remove your atomizer or your vape tank, and you should really do it if it were recently filled with e-liquid. This way, you’ll prevent any leaks and spills, which happen from time to time – it’s normal. However, if the juice comes in contact with the button of the device or with the battery, you might as well say goodbye to your device. You probably spend a sum of money on your device, so it would be a waste for all of this to happen so quickly after you bought it. So make sure you are cautious and you do this. They should talk to you about this in time, but some manufacturers just don’t do this. This is not breaking news – not all vape tanks are created equally. This actually means that you’re not going to be able to use some specific juices in some tanks. This happens because there are more plastic tanks that can crack up easily or can warp with some juices. For instance, cinnamon and menthol e-liquids are known to be the culprits of this. Many starter kits come with a plastic replacement tank in each kit so this problem mainly plagues new vapers that don’t know any better, however if you’re someone that is really craving high quality flavor and don’t want to deal with a potential mess or fused flavors, then a glass tank is the solution. Lucky for you, glass replacement tanks can be found at just about any vape shop or online store that sells vape products. You get to buy the e-liquids, then vape them, but that’s not where your job is done. You care for your vaping tanks, mods and atomizers, so why not care for your juice, too? It’s good to remember that you should shake the e-liquid before every use. This way, the PG/VG mixture and the nicotine are mixed as they should be, hence the great quality of the vape. Also, don’t leave your juice anywhere (or everywhere), because they might get hit by direct sunlight – and that’s not a good thing. If you’ve made the switched recently, you probably still want nicotine as bad as before, and the sunlight will decrease the intensity of the nicotine and will give you an outcome that you did not pay for. Excellent article about vaping! Very interesting. Can i share it with my blog readers, i will add your link.